Hornbeam (Carpinus betulus): growing, planting, caring. An ornamental tree, ideal for planting in gardens and parks, or in hedges. C. betulus is a large deciduous tree developing a fluted grey trunk. Leaves 5-8cm long, ovate, conspicuously ribbed, turning yellow in autumn. It is a shade-loving tree, prefering moderate soil fertility and moisture. Because it stands up well to cutting back and has dense foliage, it has been much used in landscape gardening, mainly as tall hedges and for topiary. Plant your hornbeam in deep soil, fresh, drained, sheltered from cold and dry winds. Plant preferably in winter, in bare roots or in mound. Dig a hole deep enough, twice as large as the root ball, without mixing the layers of the soil. Plant a solid stake at the bottom of the hole, on the edge, inclined to the prevailing winds. Cut the root hair - the fine roots that looks like hair - to balance the volume of roots and foliage. Plant without burying the boundary between trunk and roots of the tree, putting the soil layers in the same order you removed them. Tamp the soil around the roots with your foot, so you do not leave a pocket of air, and attach the stake to the trunk with a suitable extensible link. Form a hollow in the soil and water abundantly until you fill it. Water regularly and generously for several weeks after planting. After, you only have to worry about watering in case of drought during the first summer. 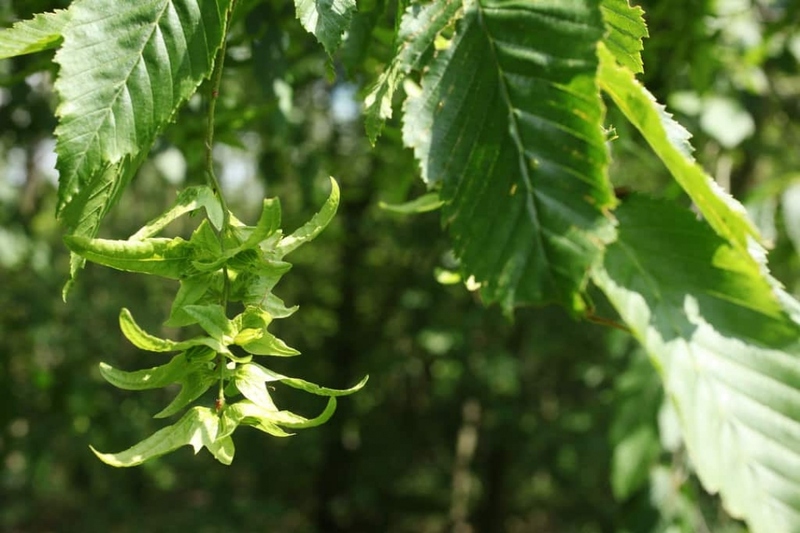 To help the hornbeam, it is better to limit the competition of grass at their base. We advise you to mulch with dry leaves and crushed branches. Renew once or twice a year. Two cases for the hornbeam trimming; either it is planted in isolation, so you need only to cut the damaged branches as they dry. Or you want to make a hedge, and in this case trim twice a year. Once in April-May, and once in September-October. Thus you will only work on thin branches, and your result will be more satisfactory.